Stacey Abrams agrees that, from a certain point of view, she has reason to be pessimistic about the future of politics. When she ran for Georgia governor last year, she had to ignore people who told her an African-American woman couldn’t succeed, fight documented efforts to suppress votes and, ultimately, identify her opponent as the winner. 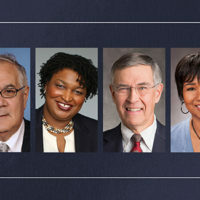 But in a conversation with Chancellor Nicholas S. Zeppos at Vanderbilt University on Tuesday, an ebullient Abrams insisted that young Americans need optimism about our democracy and, with that attitude, can evoke change. 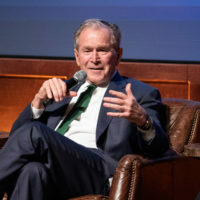 She joined him onstage before a capacity crowd at Langford Auditorium for a Chancellor’s Lecture Series appearance. Zeppos recalled the intense 10-day period between Election Day and Nov. 16, during which Abrams insisted all votes hadn’t been counted and unsuccessfully challenged the results. Less than two months later, she delivered a rousing Democratic response to the 2019 State of the Union address. Abrams described situations she saw personally on Election Day and heard about in the days and weeks after that convinced her to launch Fair Fight Action, an advocacy group to fight against election fraud and the systems that enable it. 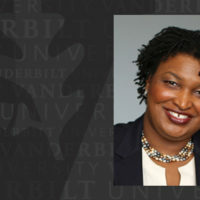 The two discussed Abrams’ strategy of visiting all Georgia counties and speaking to every group who would hear her, even those unlikely to vote for a Democrat. After that, Abrams took questions from students in the audience, who asked how young people can have faith in a system that has, in recent years, seemed unfair to so many. She said progressives have demographics on their side as a whole, but individual groups have been made to feel powerless, and she wants to work with them to overcome that. 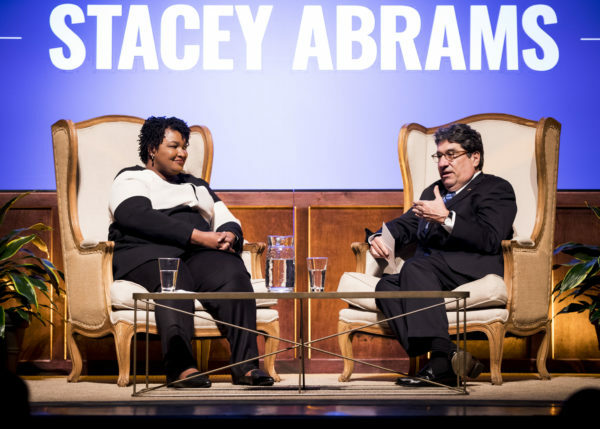 Abrams also discussed her latest book, Lead from the Outside, her upbringing, her education and a host of other topics in the wide-ranging conversation with Zeppos. 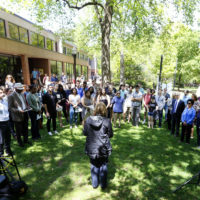 The lecture punctuated a full day on campus for Abrams. She met with student leaders from National Panhellenic Council sororities over lunch and then spent time with law students in Professor Spring Miller’s class entitled The Public Lawyer: Professional Responsibility and Practice. 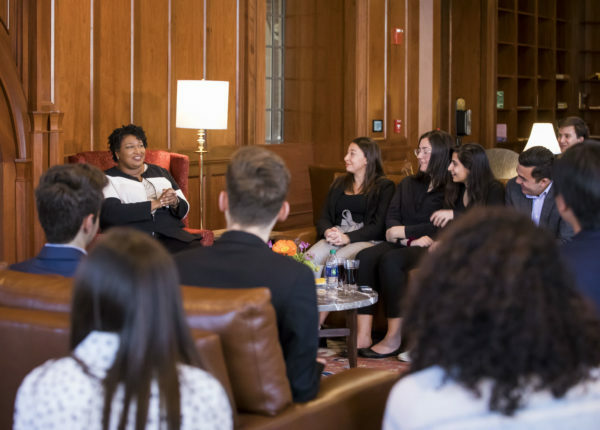 Students from the Vanderbilt College Democrats and Vanderbilt Student Government also enjoyed a candid conversation with Abrams before she took the stage at Langford Auditorium later that evening. 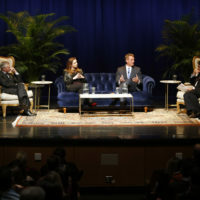 The Vanderbilt Chancellor’s Lecture Series strives to connect the university and the Nashville community with leaders and visionaries who are shaping our world. For more information about the series, visit the Chancellor’s Lecture Series website, email cls@vanderbilt.edu, or follow @Nick_Zeppos on Twitter.